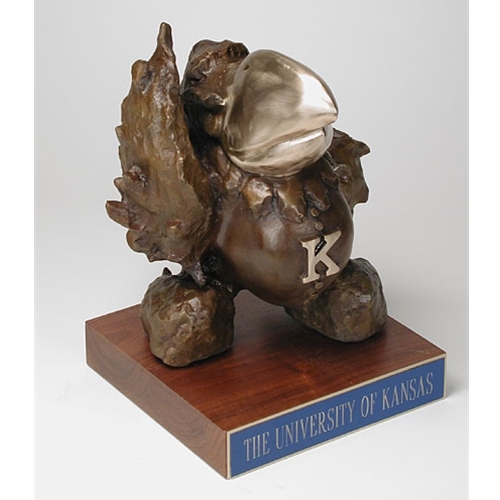 Bronze statues of the endearing Kansas Jayhawk are not only fun to collect; they can also be valuable investments. 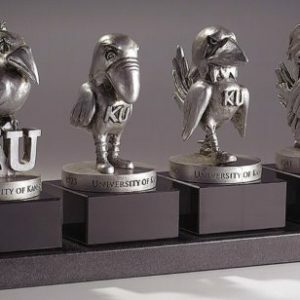 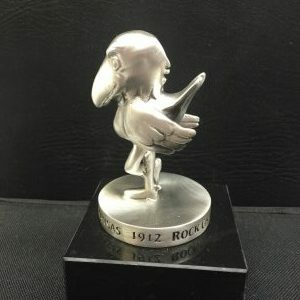 Bronze antique statues from artists Heidi Meyer, Elden Tefft, and George Knotts are among our most popular Jayhawk collectibles. 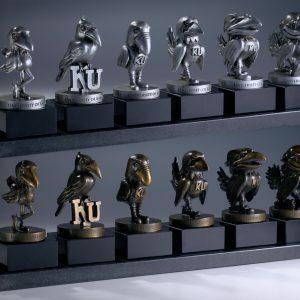 In regards to the bronze antique statues from George Knotts, please click on the image, and you’ll be able to view the different statues we usually have in stock, and the number assigned to each one. 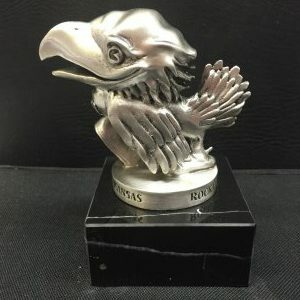 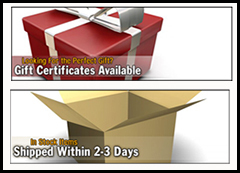 Please call us to inquire about the price and availability of any individual statue, and even if we don’t have it in stock, we will do whatever we can to track it down for you. 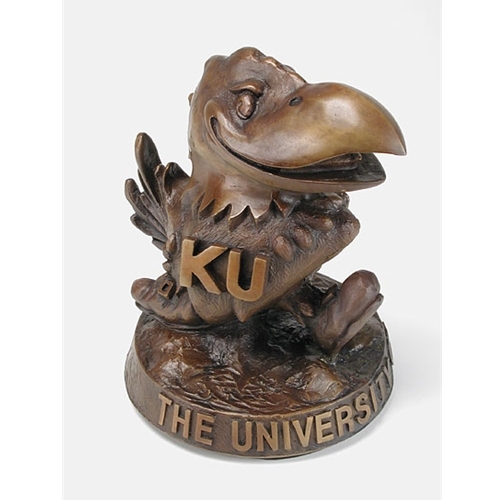 Also, please note that we buy, sell and trade Kansas antique statues, so please contact us if you’re interested in selling yours. 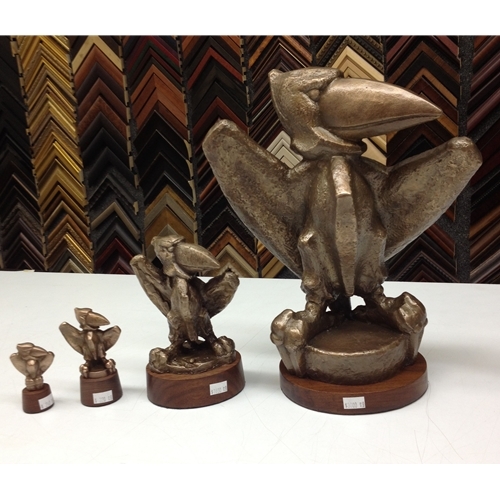 To see various examples, please go to www.jayhawks.com and click on the Bud Jennings Jayhawk collection at the Union.